When we were younger, ‘baked pasta’ or ‘baked rice’ has always been a must order luxury item when we were treated to Swensens restaurant, for some reason or other. Besides the mega scoops of ice-creams, this was something which we will always look forward to. Never mind the often dry or overcooked meat/rice/pasta, the highlight was digging into the crusty first layer of cheese followed by the gooey second layer which we will always finish off before we even touch the mains inside. Preheat the oven to 200°C. 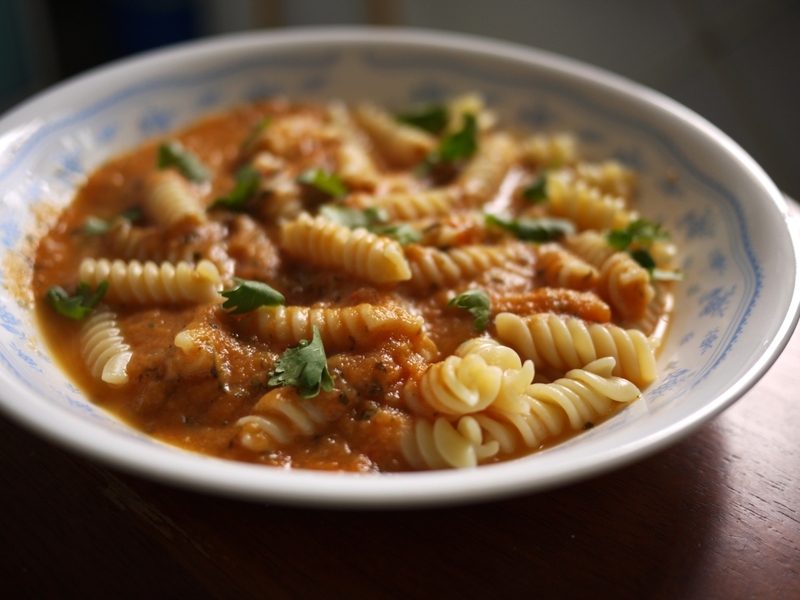 Bring a large pot of salted water to a boil and cook pasta al dente. Meanwhile cook canned and fresh tomatoes in a medium pot. 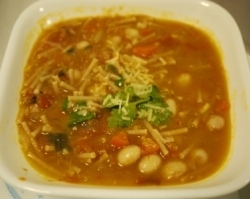 When boiling, add the rest of the ingredients reduce the heat and simmer for 5 minutes. 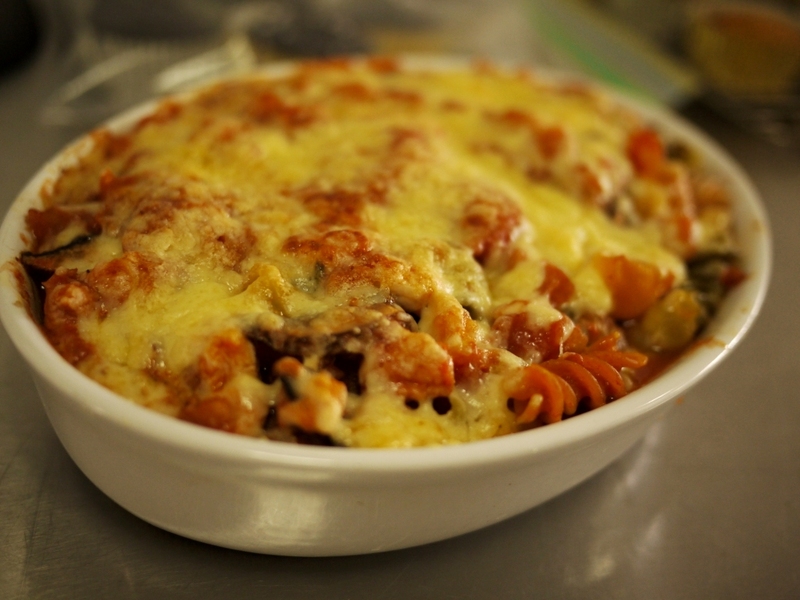 Rub a medium/small ceramic baking dish with olive oil and put a layer of pasta, followed by some tomato sauce, some cheese, then repeat layers (about 2or 3 will do) , ending with a layer cheese on top. Place the pan in the oven and bake for about 15 minutes or until the top layer is golden and bubbling.Let cool for 5 minutes and serve warm. 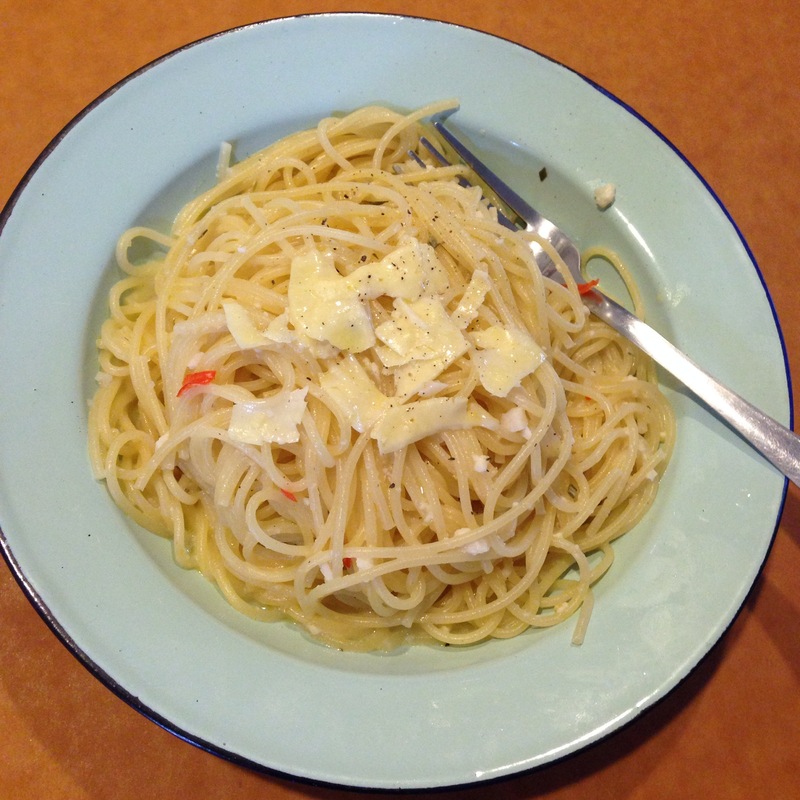 This entry was posted in Bake, Cook and tagged baked pasta, cheese, childhood, pasta on May 7, 2012 by three3seconds. Preheat oven to 150 deg Celcius and drizzle a roasting tray with olive oil. 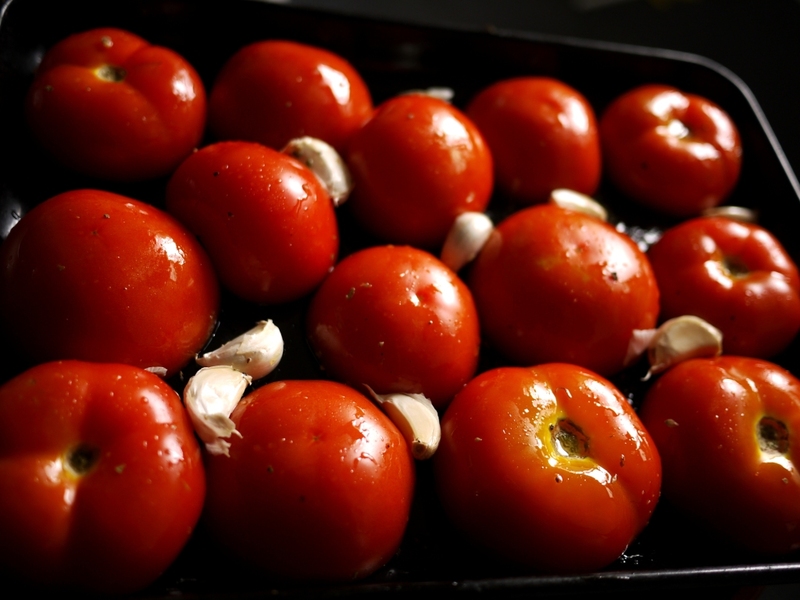 Cut tomatoes into halves and lay in the tray. Scatter garlic cloves with their skin on and drizzle more olive oil. Roast for at least 2 hours. If a little spiciness is preferred, throw in a chilli or two halfway through the roasting process. 15 minutes before the end, add a handful of basil leaves, pushing them under the tomatoes as far as possible. 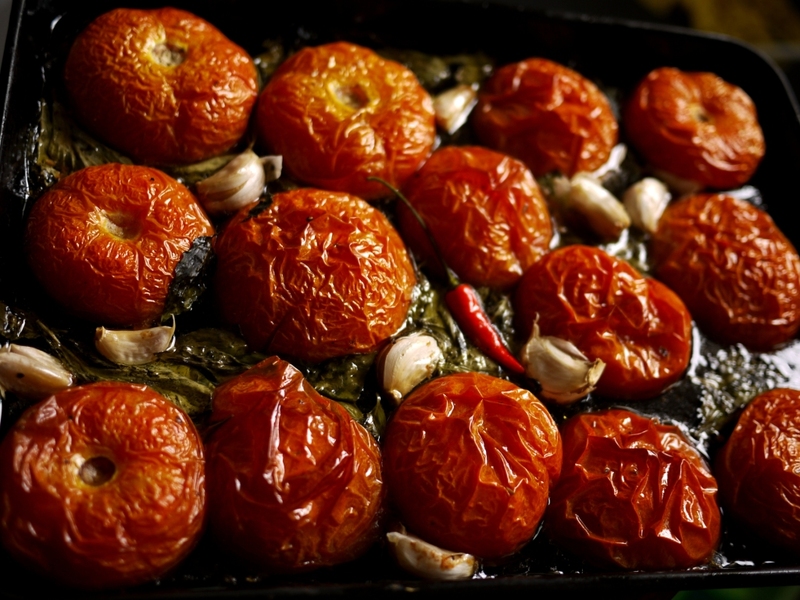 After roasting, remove the skins of the tomatoes and garlic. Deseed the tomatoes and chilli if you wish. Blend to the desired smoothness. 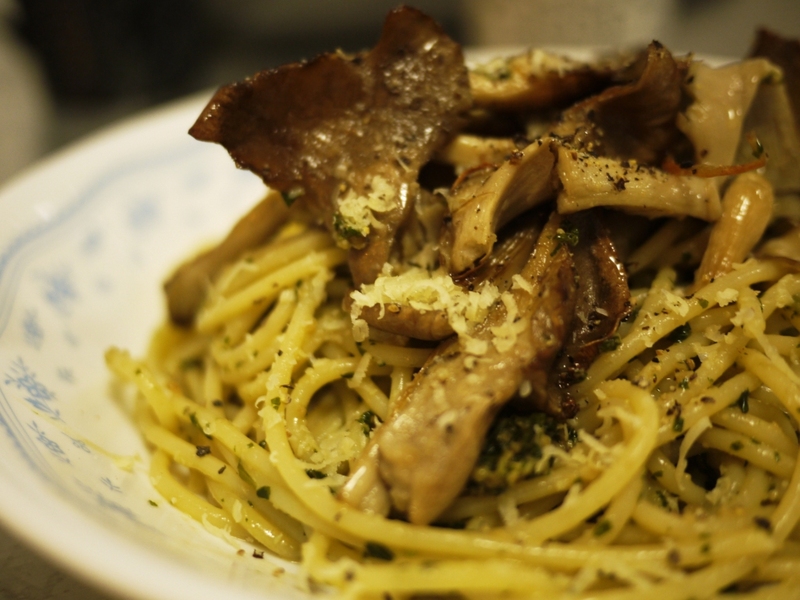 Ladle onto freshly cooked pasta. 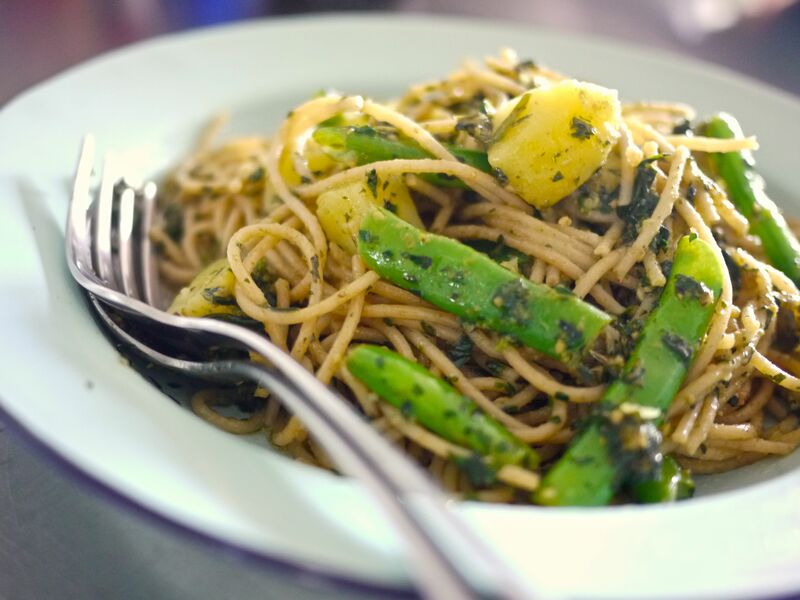 Garnish with torn parsley. Boun Appetito! 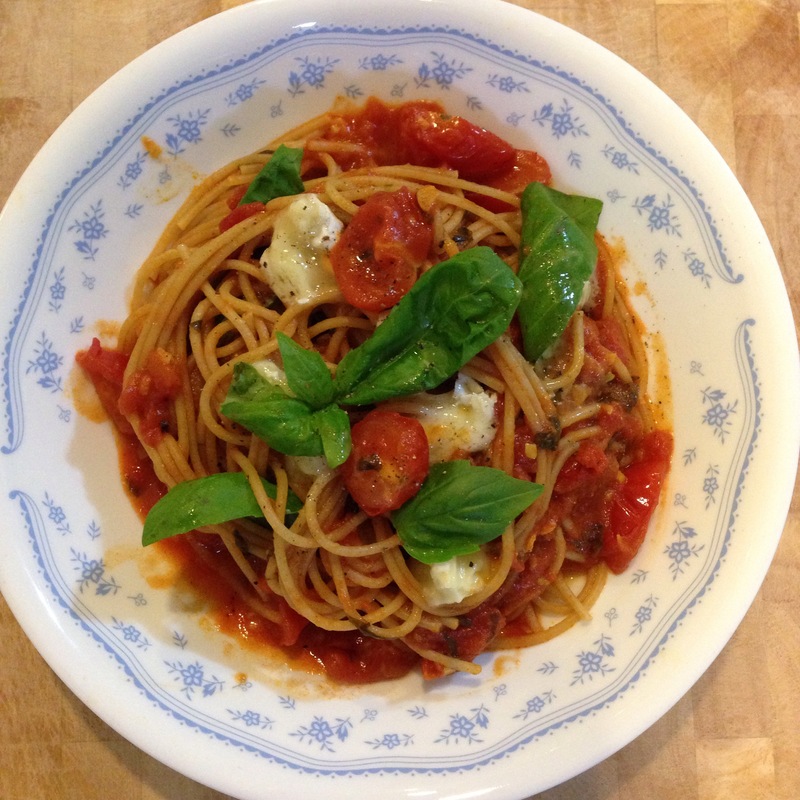 This entry was posted in Cook and tagged pasta, pomodoro on April 4, 2012 by three3seconds.